Support The Ellison School and treat yourself to a fun night out! Taste four varieties of wine paired with complimentary tidbits. $30 per person. 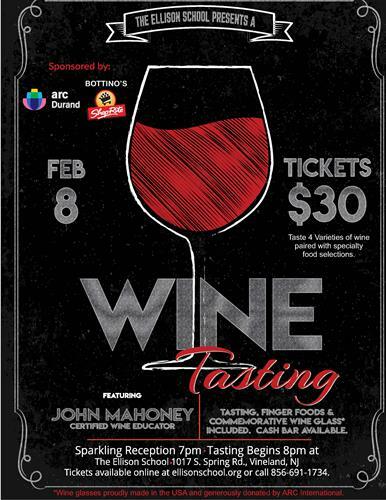 Ticket price includes wine, food pairings, appetizers, sandwiches, and dessert. Cash Bar.